CPR Training now available! 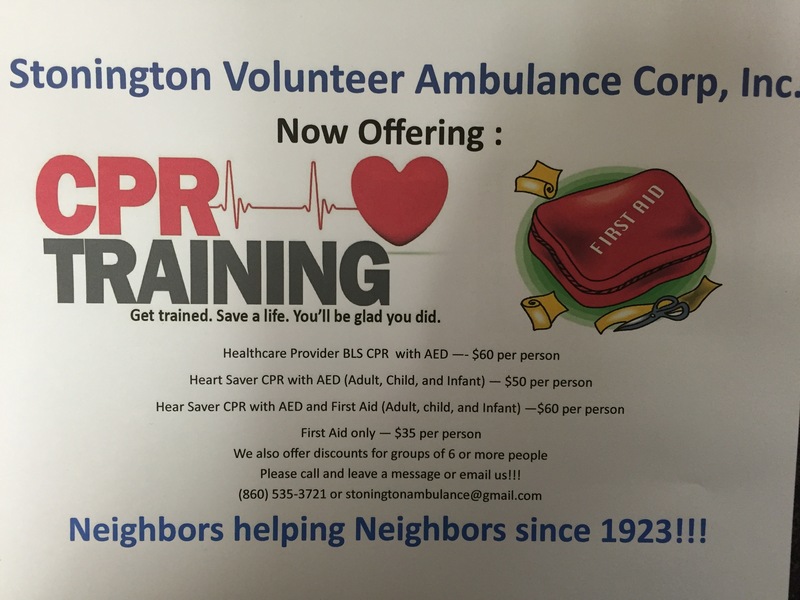 – Stonington Volunteer Ambulance Corps, Inc.
We also offer Discounts for groups of 6 or more people. Please call and leave a message or email us today. Get trained. Save a life. You’ll be glad you did.